SINAI DENTAL provides advanced dental implant placement and restoration in one convenient location. With our experienced Van Nuys dental implant team, you get the personalized treatment you need to ensure the best results. If the idea of having dental implant treatment makes you nervous, we offer nitrous oxide sedation to help you relax during your procedure. At SINAI DENTAL, your comfort is a high priority, and we enjoy making sure your visits are positive and successful. We work closely with you to carefully plan your dental implant treatment. The posts (fixtures) are strategically placed into the jaw, using advanced dental technology and personalized analysis of your unique oral structure. We closely monitor your treatment and your healing process, providing important information and safety tips. Dental implant treatment is customized according to existing jaw bone density and location of natural teeth. Once placed, the posts fuse with the jaw bone and enhance jaw strength. This permanent placement provides durable support for your custom restoration. Partials: replace teeth absent in a line, or sporadically missing to fill any gaps. Overdentures: restore a whole row of teeth, both upper and lower arches. These dentures won’t fall out and are easy to brush and floss. By replacing both the root and the visible portions of teeth, you experience far superior function than with traditional methods. Your teeth look and feel like your own, and your jaw remains intact. 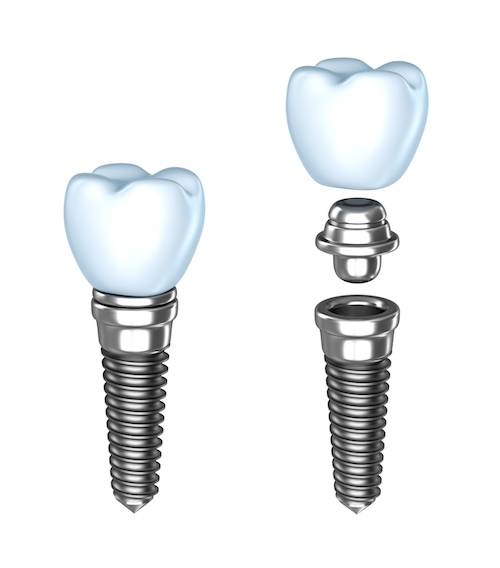 Call us today at SINAI DENTAL for more information about receiving dental implants.